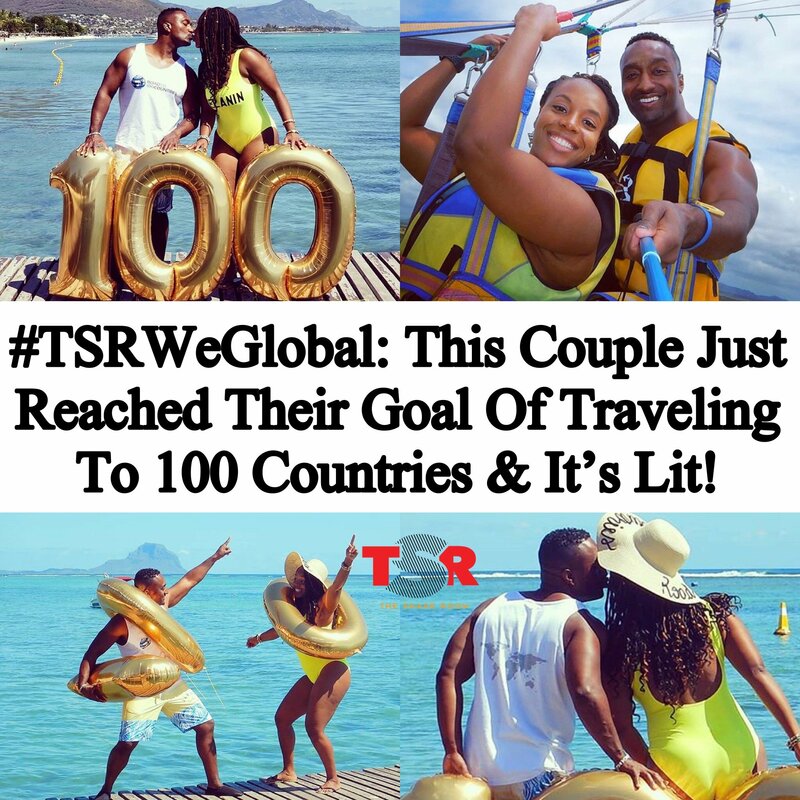 #TSRWEGLOBAL: THIS COUPLE JUST REACHED THEIR GOAL OF TRAVELING TO 100 COUNTRIES & IT’S LIT! #Roommates, this couple just reached the ultimate #baecation goal!! After just five years, we were able to visit 100 countries together, and they made sure to take a kissing pic every stop along the way! “We never thought we would accomplish this goal in so little time, especially with both of us working full time jobs, 40+ hrs a week,” Sheba said of her and her husband’s #RoadTo100Countries adventure. “We had no sponsors, no donations, no travel agents, no one to help us, all we had was each other.” The lovebirds knew they wanted to travel the world, but didn’t know how they’d pay for it all! “Being entrepreneurs at heart, we tried to figure out how we can make most of our travel FREE,” she revealed. “After all KNOWLEDGE is the key to all SUCCESS stories. So we sat, strategized and developed what we like to call “The Tricks to Travel.” Using points, miles, and strategic systems, we were able to visit 100 countries together in 5yrs. The sweet part is we MADE, the bitter part is, “What’s next?” 🤷🏾‍♂️. #Roommates, what’s a dream travel destination for you and your boo?